Lately there seems to have been a number of articles talking about the mental side of running. I’ve even seen articles recently on this subject in such unlikely places as the New York Times and the Guardian. As an old, slow but keen recreational runner, the headlines bring me up short each time. Does this mean that if I just think more I’ll be able to run faster, longer, or more frequently?! That would be welcome news, since I am definitely better at thinking than running. Old, slow but keen runner! One Guardian article referred to a recent study that determined that having a high emotional IQ (and the jury’s out even on what EIQ means or how it could be measured) helps make you a better runner. The article had the compelling title of How to run a race: emotions may be more crucial than training. I was pleased to see that the author was skeptical of these findings, although he did his best to try to remain neutral in his reporting. I sure hope nobody takes from this study that less training is fine because it’s really all in the mind. Your mind might have a hard time convincing your legs and lungs of that! For those of us who are more interested in being able to keep running than in being the first one to cross the finish line (although that does get easier to do within your age group if you can keep running when everyone else your age has stopped), there is undoubtedly more value in considering the benefits of running on your mental health than the benefits of your mental health on your running. And there are many proven benefits to your mental health from running. Running is an enormous stress reliever (especially if you’re listening to your favourite music at the same time). Running gives you a great sense of satisfaction (especially when you finish). According to the literature, this boosts your self-esteem. 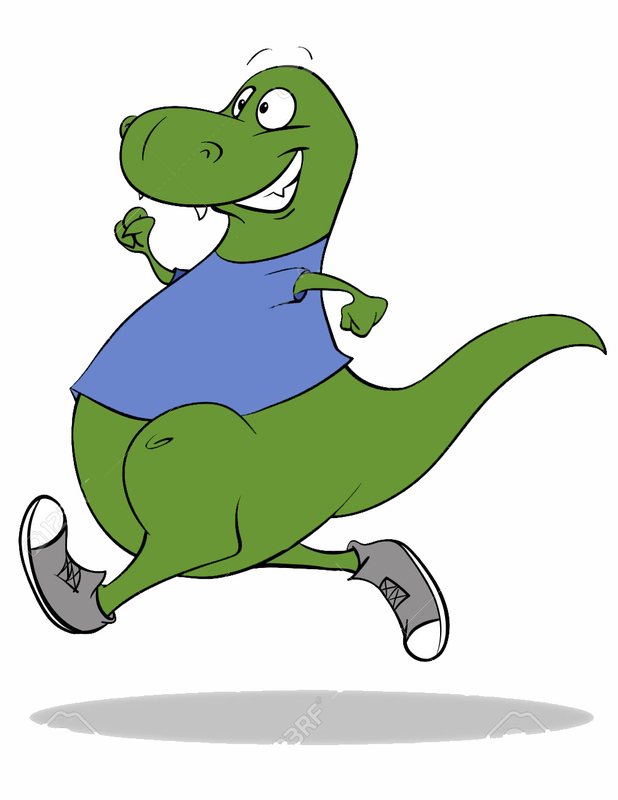 Running increases your energy level (even though it doesn’t feel like that when you first finish). Running helps you sleep better. Some studies show that running helps improve your learning abilities. Maybe?? Some studies show that running protects the brain from aging and sharpens memory. I sure hope this is correct, although I have some personal evidence to suggest that this may not be 100% accurate! Some studies show that running increases your creativity. I like that possibility. Studies show that running can reduce anxiety and help you relax. I can say from personal experience that this is not true with respect to reducing pre-race jitters, but maybe that’s because I’m not running yet at the time. My brother and I are signed up to run a 10K together in 10 days or so. I think I’d better stick with my training plan, such as it is. Maybe I should try to convince my brother to concentrate on further developing his emotional IQ instead of more training. That strategy just might give me an edge! 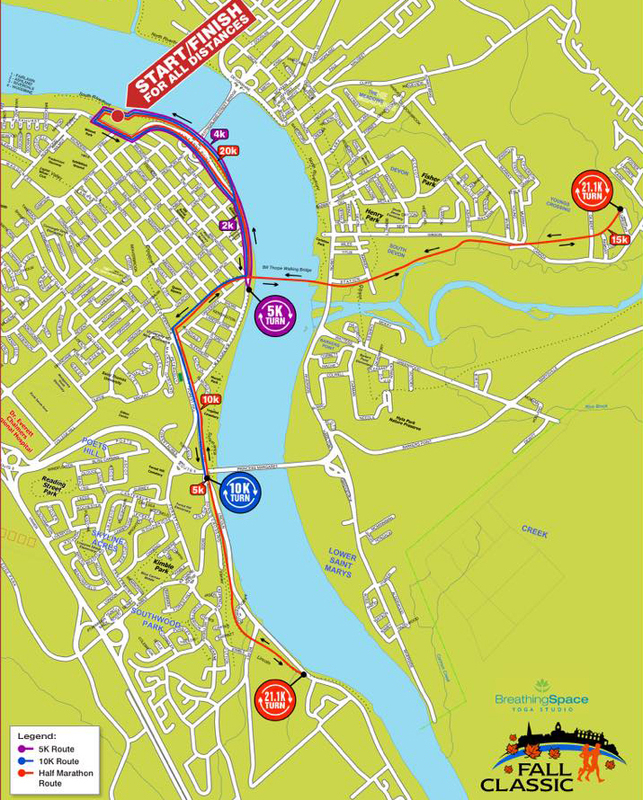 Race route for my hometown’s Fall Classic. Beautiful route along the Saint John River. This entry was posted in Running and tagged aging, brain health, Creativity, emotional IQ, family, humor, inspiration, old runners, older runners, running, running and emotional IQ, running and mental health, stress relief, training, Yogi Berra. Bookmark the permalink. 2 Responses to Is running really 90% mental? There are a lot of self-appointed experts in running. Many of them want a monetary slice of the action for sounding authoritative. And research and ‘studies’ can prove or disprove anything. There’s most definitely a third running boom on at the moment, though cycling and triathlon have siphoned a few off. To my mind this is great as, despite much of the nonsense spouted, no one other than the odd crazy doctor will actually say that running is bad for you. And anything that encourages activity is to be applauded. My view is that mental strength is important, but you can’t measure it. In some cases people simply don’t have it. They simply give up at Week 4 of Couch to 5k because ‘it’s too hard’, without exploring what lies beyond their self-imposed limitations. At the other end of the scale are those (I’m thinking of a local 75-year old in particular) who I pray will do us all a favour before he kills himself racing. He’s astonishing. In my view (again) it’s best not to overthink things. Enjoyment (at either an elite or social level) is paramount and everything will flow from there.